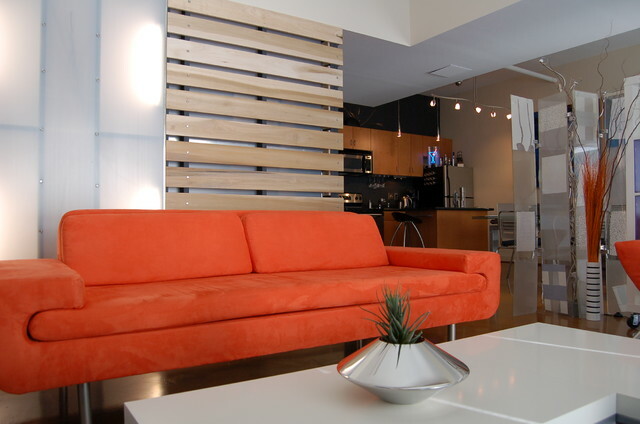 I love this red-ish orange modern looking living room. I love the plants and wood panel wall. I love the lights that you can see in the kitchen. It's a small space but they made the most of it and made it feel larger. Wooden backdrop very versatile Could be used as headboard, room divider, wall art, etc. make the backdrop with pallettes.